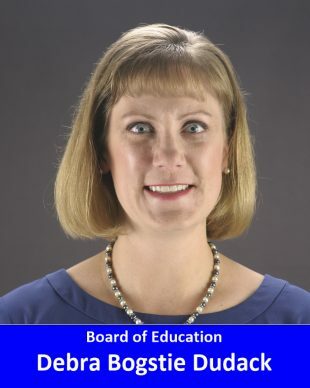 Experience and Qualifications: I believe my communication and leadership skills will be a strong asset to our Board of Education and our community. I am proud to work for Connecticut Children’s Medical Center where I lead communications efforts for Connecticut Children’s Office for Community Child Health. The Office promotes optimal healthy development for all children and strives to align various sectors (such as child health, education, and housing) to collectively enhance outcomes for children. Prior to Connecticut Children’s, I worked for 11 years as a journalist at NBC Connecticut covering the state’s biggest stories including crime, politics, education and other issues. I never shied away from asking difficult questions and always pushed to hold those in power accountable for their actions. Education: I have a bachelor of journalism degree in broadcasting from the University of Nebraska-Lincoln and a master of science degree in organizational leadership from Quinnipiac University. Family: My husband, Brian, has lived in Suffield since he was a child. We are raising our two daughters in the house he grew up in. Both of our girls are students at Spaulding Elementary School. Community Involvement: I serve as co-Secretary of the PTO; a Girl Scout leader; a representative of the Cox Cable Advisory Council; and a Board member of Connecticut Hands & Voices, which is an advocacy organization for parents of children who are deaf or hard of hearing. In Suffield, our schools are strong. However, there are opportunities for improvement. Results from spring 2017 state tests show just 66 percent of Suffield students are at grade level for English and just 52.7 percent are at grade level for math. Other nearby districts, such as Granby, East Granby and Ellington, are outperforming us. We can, and should, do better. I want to bring positive change to our Board to improve educational outcomes and opportunities for students. Advocate for improved communication. I would like to see more detailed Board and subcommittee minutes; the return of public comment at the end of Board meetings; and more timely and detailed communication from district leaders to parents. Advocate for greater transparency. I believe our Board and district leaders should share more information about projects and initiatives with the public and that more robust discussion should take place at Board meetings to maintain the public’s interest and trust in the process. Ask important questions of district leaders to ensure a strong academic direction for our children and fiscal responsibility for taxpayers. Encourage parents, district employees and citizens to share their thoughts on education in our community. Everyone has a voice and I feel it’s important for elected Board members to listen.